The F.P.D.A. 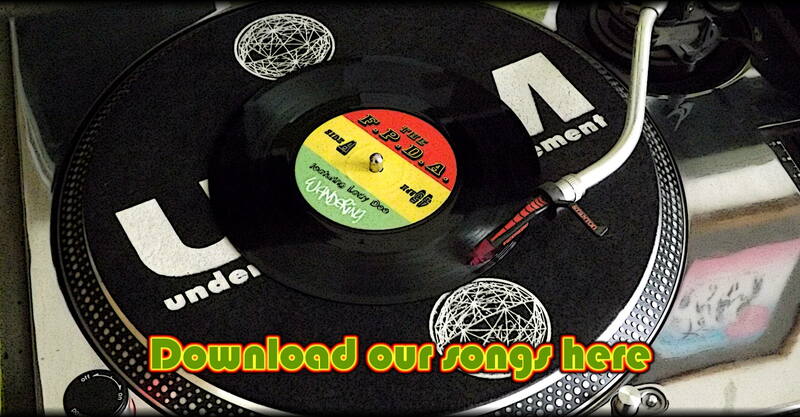 are an ever growing collective of like minded Reggae loving musicians and DJ's based in East Oxford, England (most of us live in Florence Park), who have come together and grown as friends over many years. We occasionally record a song or two in FunkLab Studio and like to give mp3 versions away for free on this site (copyright permitting of course). We released our first song 'Revival' back in March 2002 to coincide with FunkLab Studio being featured in the May 2002 edition of Future Music magazine. It's therefore, been 15 years of The F.P.D.A. as I write these words. This website has been put together with the intention of letting the world know about The F.P.D.A. and to give people the chance to listen to us (and even watch us when we have done a youtube video). Regular visitors will notice the new look to the site which we will continue to work on - hope you like it! The video was put together using almost entirely free CC0 stock video footage downloaded from the internet. The only bit of the video that's not stock footage is the very short bit with the skeleton playing the guitar. The F.P.D.A. are now on bandcamp! Hopefully this will be a good way of getting our music heard and getting more traffic at our website. Our bandcamp page has gone live today and 'Something Good' + 'Something Dub' are available to download (name your price even if it's 0). All our music will always continue to be given away for free on this website, even though we do of course hope that many people will actually pay something to us on bandcamp. The new single 'Something Good' is out now and available to download on our songs page. It will also be released on bandcamp and Youtube next week. 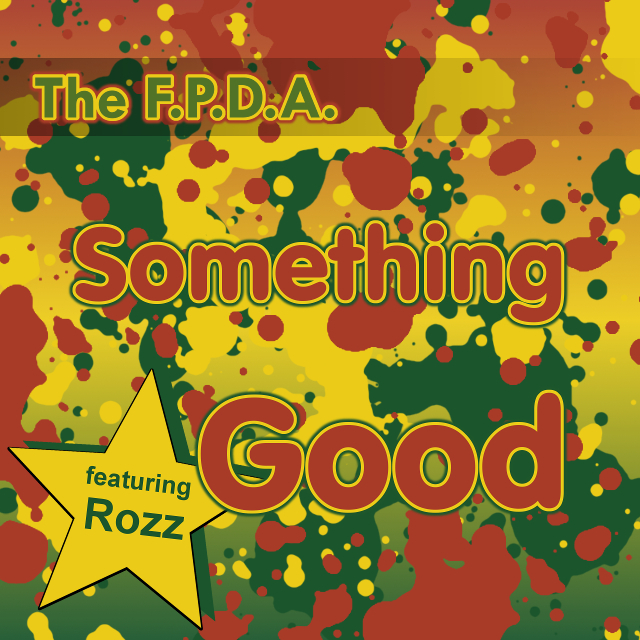 Our new single 'Something Good (featuring Rozz)' will be released in the coming week. 'Something Good' and 'Something Dub' will be available to freely download (for ever) on our songs page from Friday 4th May 2018. The following week it will be available to buy (pay as much or as little as you like) on bandcamp. There will even be a video on youtube to promote the single. People can consider paying for the song on bandcamp as a way of thanking us for having always given our music away for free. It's been some time, but The F.P.D.A. are back and better than ever!